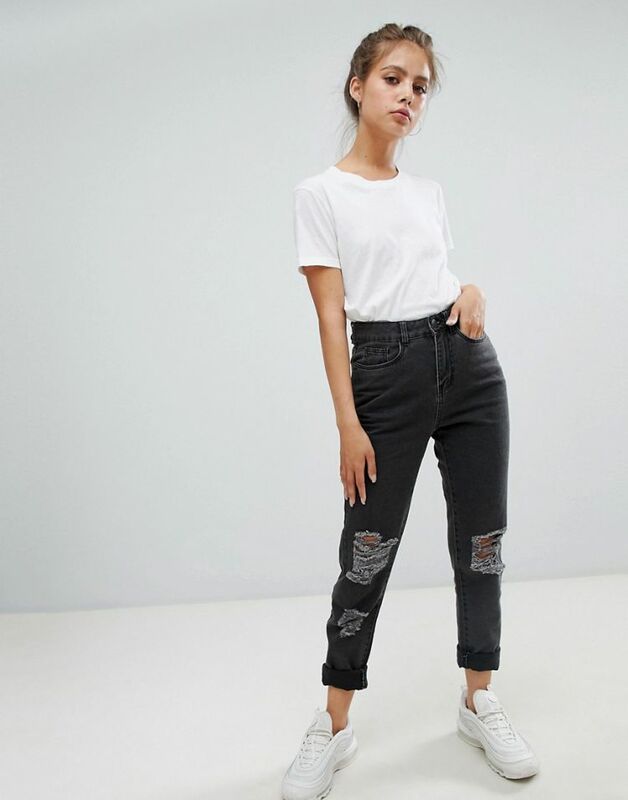 Jeans by Noisy May, A fail-safe pair, High-rise waist, Concealed fly, Functional pockets, Distressed design, For that worn-in vibe, Tapered leg, Relaxed fit. The younger and louder sibling of Danish brand Vero Moda, Noisy May is your new go-to label for fashion-forward denim. 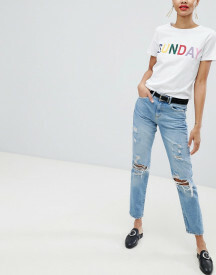 Their first collection sees authentic, raw, cutting-edge jeans sit alongside a trend-led range of knits, tops and sweatshirts in punch-packing hues and prints.